My tummy was singing "hallelujah!" after taking a Food Fermentation Workshop with Sharon Haave, co-founder of Creekside Commons Cohousing in Courtenay, BC. I have had digestive ailments since my teenage years, and when I found about this workshop all my cells screamed, "yes, you need this workshop!". I have taken digestive enzymes in the past, especially during times of high stress, though I have found the high quality ones to be quite costly, so I was happy to learn about this alternative. Actually, I had dabbled a bit with fermentation making kombucha and sauerkraut once, though in my travels over the past year and a half I forgot all about these little digestive gems. Naturally fermented foods are some of the most nourishing, health restoring foods in the world, and they are tons more cost effective than digestive enzymes. Furthermore, fermented foods are a wonderful way to build immunity, and they are easy and fun to make in your own kitchen. For the workshop we got to play in the Creekside Commons kitchen for a couple hours, tasting various fermented foods and then making a few of them. My favourite was coconut kefir. 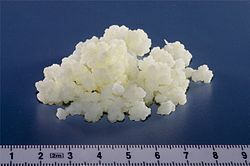 Kefir is a cultured, enzyme-rich food, resembling yoghurt, that is filled with friendly micro-organisms which help balance your “inner ecosystem.” It is more nutritious and therapeutic than yogurt, as it supplies complete protein, essential minerals, and valuable B vitamins. It was great to learn how to prepare these highly nutritious and therapeutic foods; however, the biggest realization was the ease at which one can prepare these foods. Kefir can be prepared in under five minutes - plus the two days it needs to sit in the cupboard. I was grateful to receive the kefir starter grains from Sharon, as the kefir starter sold in stores is one-time use only. Sharon's kefir grains are your forever friends, that is if you treat them kindly. The more you use them the happier they are, and the more they reproduce. Thanks, Sharon! "For the workshop we got to play in the Creekside Commons kitchen for a couple hours, tasting various fermented foods and then making a few of them." I just prepared my first batch of coconut kefir. I am playing musical houses right now, so I decided to start with the easiest and one of the most nutritious fermented foods. SO EASY!! I basically took a mason jar and emptied the contents of one tin of high fat coconut milk (low fat one does not work) into the jar. Then I filled the remainder of the jar with purified water to almost fill the top. I then put my kefir grains that I received from Sharon, the workshop leader, into the jar, put a cloth on top, and put the jar in a warmish spot on the counter. It needs to sit for 2-3 days there, and then I'll put it into the fridge. When ready to use, you simply strain out the kefir grains, put them in a separate container with a little water, and store in the fridge until you are ready to make the next batch. There you have it. In terms of size, 2-3 tbsp is needed for a one litre mason jar. I am starting with 1 tbsp and hence a 500ml jar. The key is to find someone who has kefir grains to gift you. You can purchase them in the health food store; however, these grains are one time use only. Best to find out who has some in your area. Lions and Tigers and Baskets, Oh My! Recent Reflections from a Tarotista!